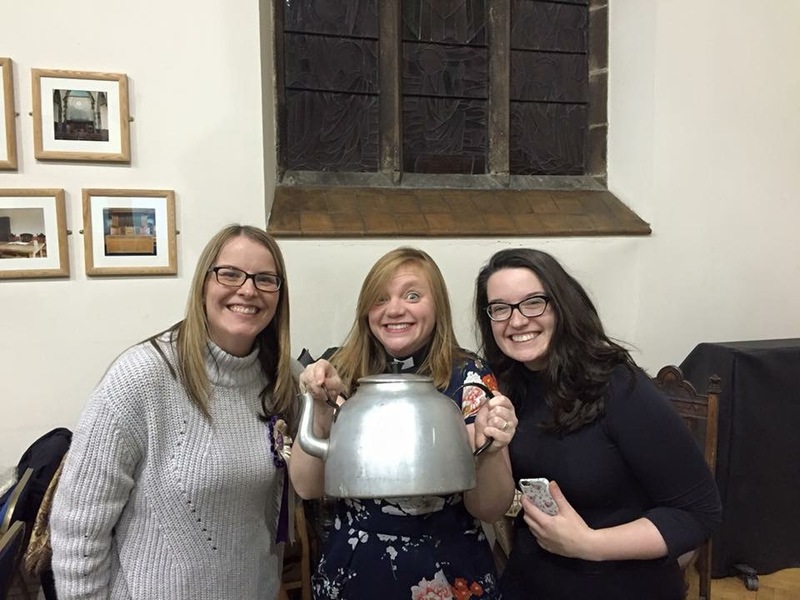 Rev Kate Bottley and a giant teapot. 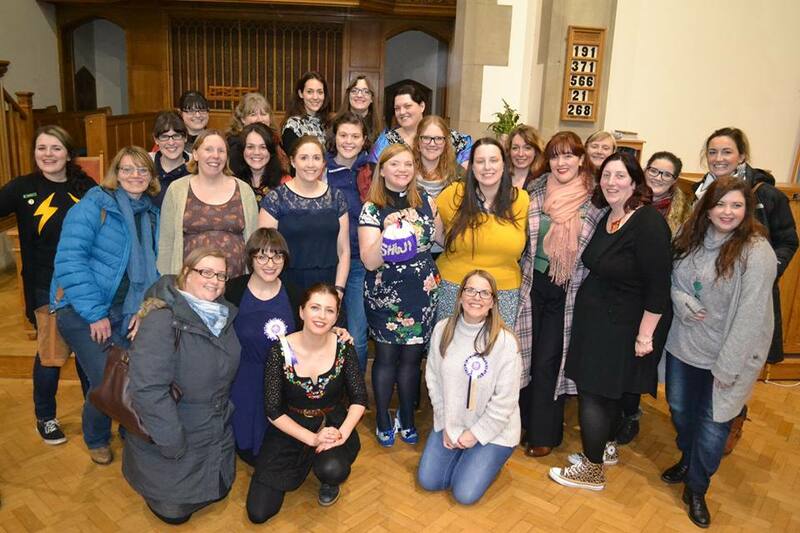 After finding ourselves potentially venue-less for 2016, the SHWI committee were panic stricken: ensue canvassing everyone we could think of for venue ideas, enough googling to break the internet and lots of mad ringing round. One of the umpteen options mooted was St Andrew’s URC. We didn’t want to get our hopes up but headed off for a nosey. They told us they didn’t have a room we could hire…but that we could use the actual church! January was our first meeting there, and it immediately felt like home. Giant teapots a-hoy! As a Gogglebox fan, I was right chuffed when committee member Anna P said we’d bagged #revkate as a speaker. Turns out I’m not alone, as it was one of the busiest meetings we’d had in yonks (the busiest ever, perhaps?). With old members, new members and visiting members from other WIs, there was a lovely, lively, anticipatory feel at the start of the meeting. It seemed somehow fitting that our first speaker at the new venue would be of a religious persuasion. For those of you who don’t know, Reverend Kate Bottley is a Sheffield lass born and bred, who was a teacher at Ecclesfield (my alma mater) and then Yewlands school before going into vicaring and appearing on Channel 4’s Gogglebox. Kate’s energy was contagious and her delivery more stand-up comedy than Sunday communion. A self-confessed attention-seeker of the warmest, humblest kind, she revealed that her husband, Graham, does speak (but we suspect a lot less than Kate), that her favourite TV programmes feature zombies and that many of the tea cosies they own come from fans of the show. Well, she has one more now thanks to crafty knitter, Di Coupe. We’ll be looking out for it on the next series. 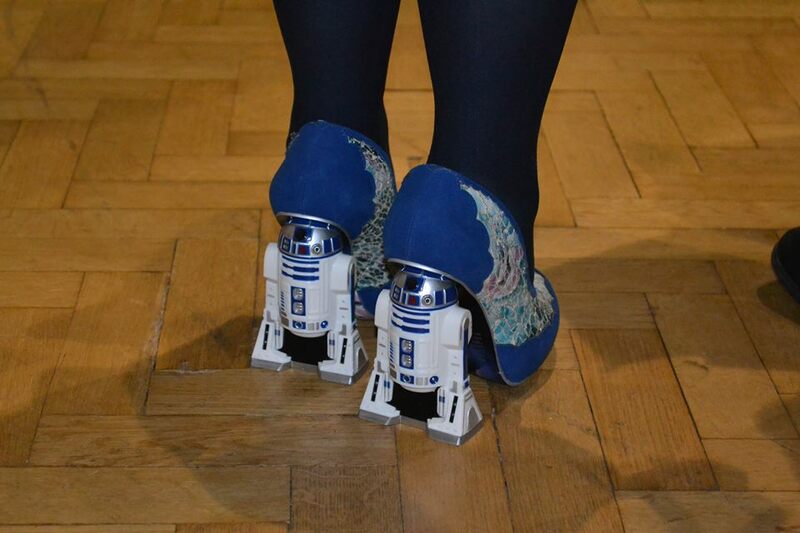 Kate wowed us with her shoes (she’d swapped her usual slippers for R2-D2 heels), her tales of bumping into other Goggleboxers (they’re not allowed to meet under normal circumstances) and her crazy vicar antics (flash mob wedding, anyone?). There was so much #shwilove for Rev Kate and she stayed ages after the end of meeting, chatting to members and posing for photos. It was a fantastic start to the new year and new venue! Thank you to everyone who pitched in to make it a brilliant evening, not least our revered speaker, Kate. Next up in February: salsa! Hope to see you there.